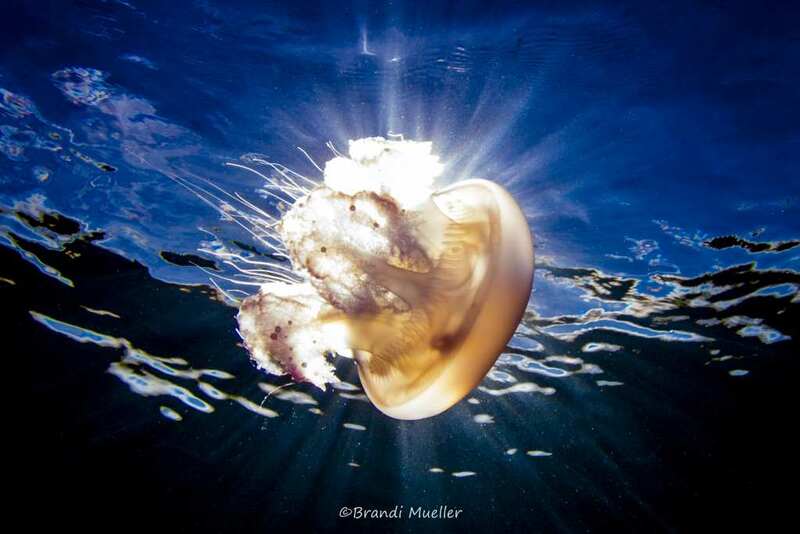 Originally from Cameron in the U.S. state of Wisconsin, Brandi Mueller shows us her most breathtaking underwater photographs of the most remote locations. 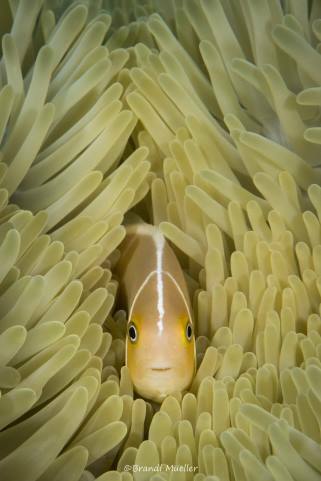 A diving and photography enthusiast, today she has the chance to professionally merge these two activities. 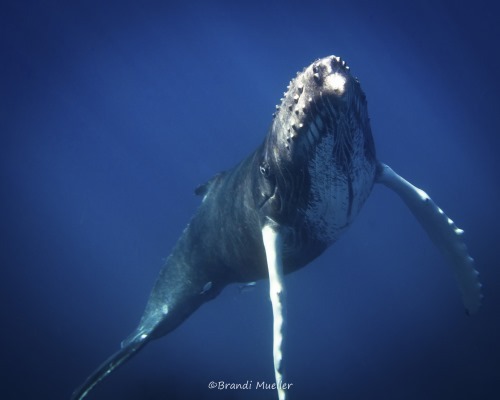 In fact, Brandi is actually the captain of a boat in the Kwajalein atoll in the Marshall Islands, and has the Pacific Ocean as an endless resource to practice photography. 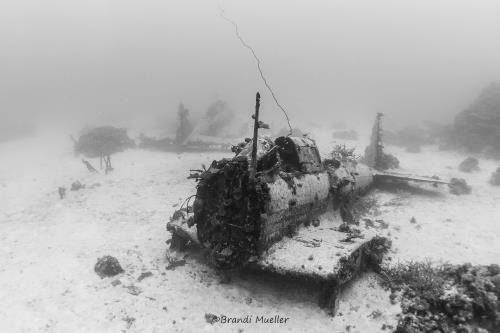 She was recently in the center stage of the media after publishing some incredible photos of an underwater graveyard for World War II planes. Improbable and unexpected photos revealing a sinister atmosphere of a seemingly forgotten world. 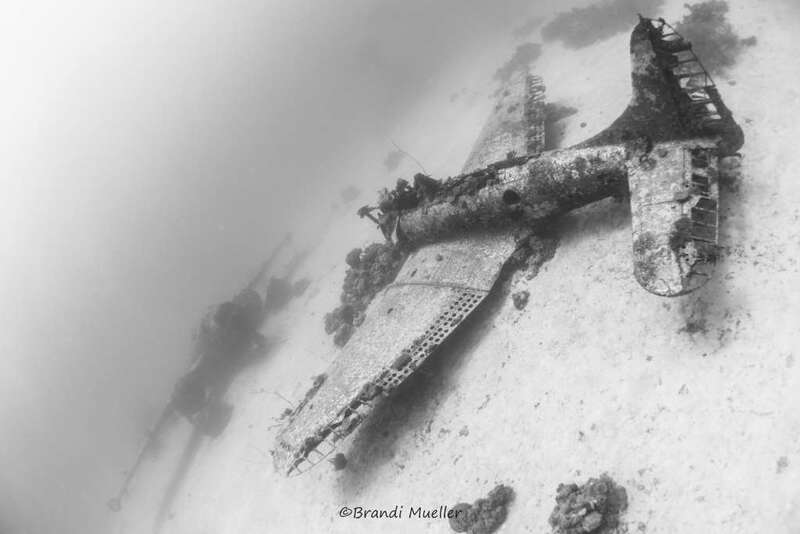 In August of 1945, these planes, in perfect condition, were intentionally thrown from Allied aircraft carriers into the ocean after the victorious campaign against the Japanese in the Pacific. Getting rid of those planes allowed the army to avoid adding them to their already growing surplus. It is believed that more than 150 planes have been lying 45 meters deep at the bottom of the ocean for the last 70 years. Found amongst these planes are the TBF, the TBM Avenger, the Douglas SBD Dauntless (a dive bomber) and the F4U Corsair. 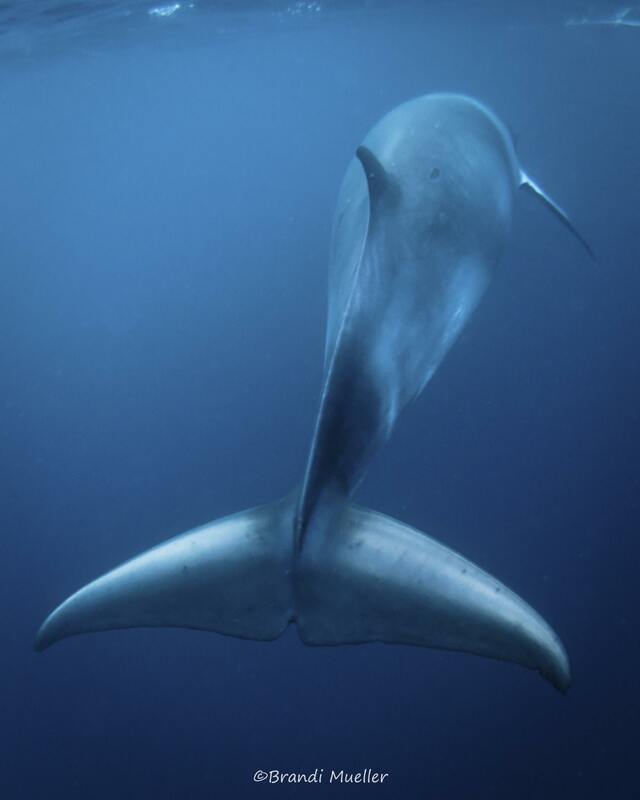 These photos were taken 8 km from Roi-Namur in the Marshall Islands. 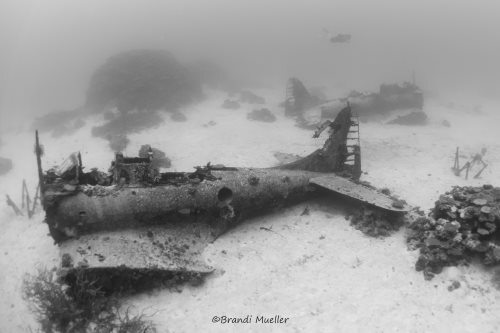 Other types of planes are also found in these photos such as the Helldivers, the B-25 Mitchell, the Curtiss C-46 Commando and the F4F Wildcats. They were apparently deployed in the Marshall Islands during the battle of Kwajalein which took place on January and February of 1944. "These planes are particularly hard to photograph given the depth. The time you have to stay in this depth is limited. " She learned to dive at the age of 15 in New Zealand during a student exchange. While at University she also visited Tasmania, the Bahamas and Costa Rica to broaden her knowledge about plants and ecology. After backpacking in South America for 6 months, she began to work for the sole purpose of traveling. 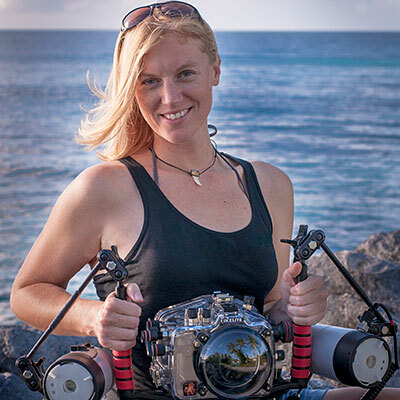 She worked as a diving instructor in the Caribbean, Hawaii and in the Pacific. Today, as soon as an opportunity presents itself, she sails towards new horizons. "Traveling has always been a way of life for me. From early on my parents showed me there was a lot to see out there and I had been to 49 of the 50 US states before graduating from high school." It's difficult for her to choose a favorite, she can't even think of a place she didn't like. Every place has its own special things that make it great. 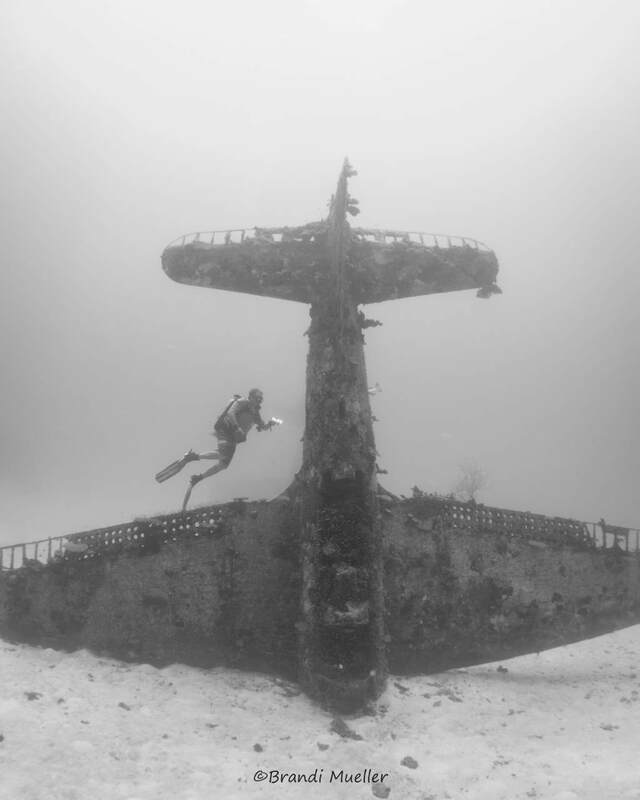 "I've really gotten into wreck diving over the past four years, and Chuuk (formerly known as Truk Lagoon) is definitely one of my favorites. WWII left many ships, planes, and even submarines, in the ocean. I love the way the ocean has transformed these wrecks into a kind of living art covered with marine life." "My most amazing trip ever was probably to the Galapagos, which has incredible sea life like massive schools of hammerheads and whale sharks. We also saw penguins, seahorses, and frogfish." 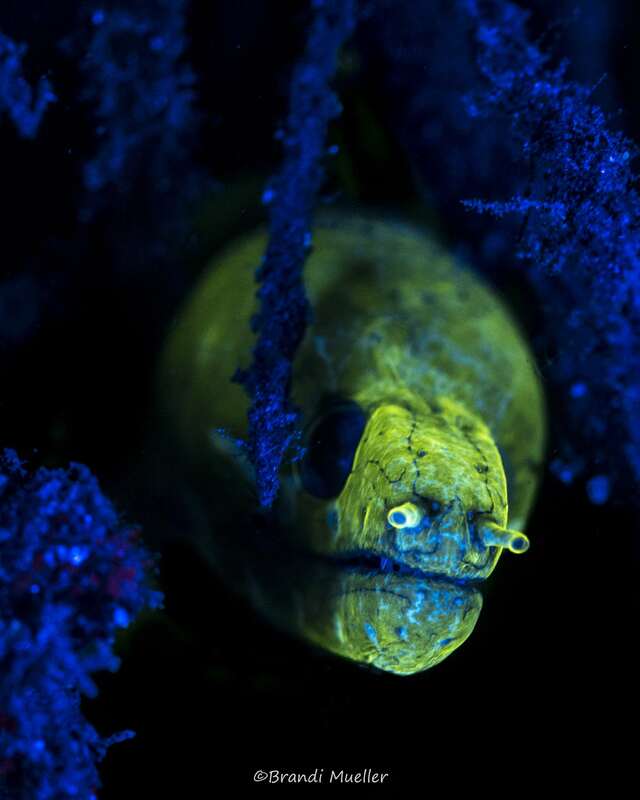 "I just recently returned from a muck diving trip in the Philippines and Indonesia. I love all the little critters like nudibranchs and flamboyant cuttlefish...see the list goes on and on." 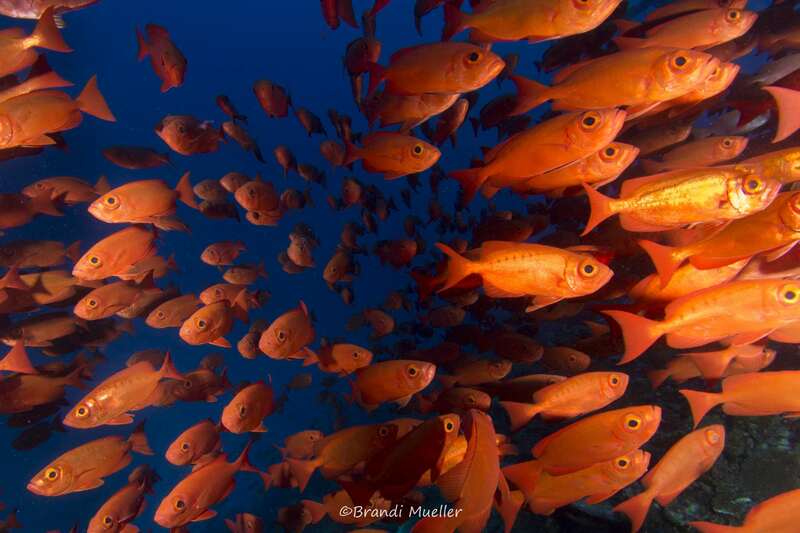 "I love observing behavior in the ocean, to catch a shrimp cleaning a turtle or see courtship and mating behavior. 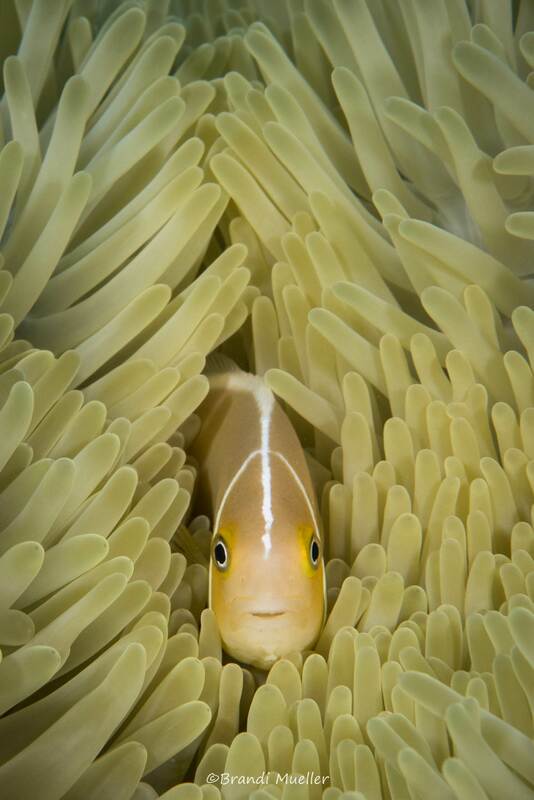 I could sit with the same fish for an entire dive (sometimes more than one dive) and be happy just observing and photographing." Some of her photos show an interesting perspective of the marine fauna and flora under fluorescent lighting at night. This technique requires having a blue lighting source and a yellow filter. 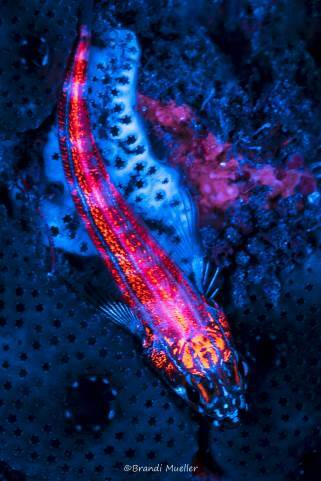 "It's been fascinating to see the corals and marine animals illuminated. 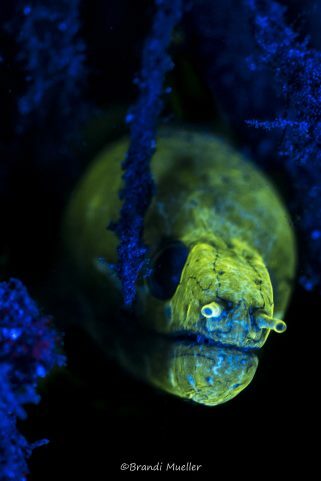 My most exciting finds have been red gobies and a green glowing eel." We thank Brandi Mueller for sharing her photos and her experience with us. If you want to learn more about her, you can find her on her website and her Facebook page. Beautiful work on the aircraft in B/W. Gives them a spooky/ethereal look. I had a plant in Ebeye but we were told that Kwaj was off-limits due to the death of some off-duty Navy divers penetrating the Prinz Eugen (looking for china/souveniers?). Also didn't get to dive Bikini on several trips to check my plant in Majuro as National Park Service told us "high radiation readings). You didn't mention PNG in the article but I think it is among the best in the world. Stayed at Walindi and found it well done. Maldives/Truk/Yap also excellent. Great work - waiting to see more! Stunning photography! Has Brandi published any books with her pictures? Outstanding photography, Ms Sandi. Thanks for sharing your adventures,talent and pioneering career discoveries with the rest of the world.